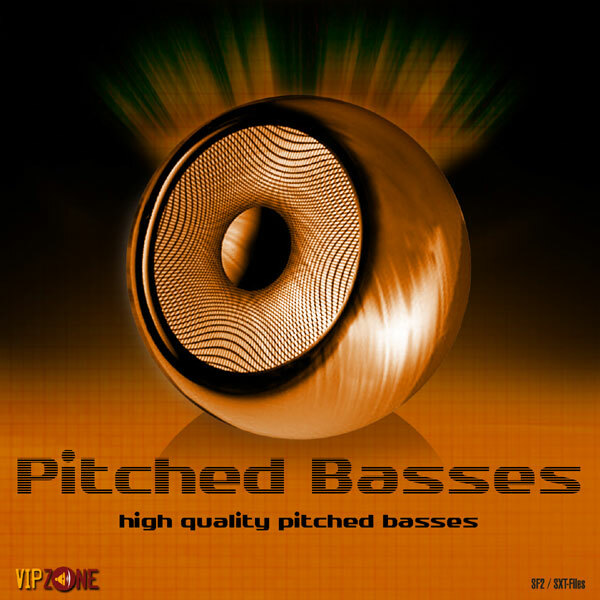 We present 60 outstanding quality, modern, pitched basses. Sampled using top industry synthesizers and processed using expensive tube exciters and compressors. This is the right pack if you are searching for POWERFUL BASS SOUNDS! Bonus:over 600 Drumsounds including 300 clubby hihats and 300 clubby claps! Pitched basses are very useful for the composers and musicians who like to make great music. The Pitched Basses we have put together for your enjoyment has that special feature plus we give you the opportunity of composing the most exquisite sounding music with the aid of sophisticated musical samples of the caliber of high tech synthesizers. Add to this we have also included some of the most exclusive tube exciters and grand compressors with a final impact appeal of great magnitude that your melodies created with our pitched basses will surely make you stand out from all your contemporaries in the trance, dance and club music genres. Mix popular hits and musical pieces with the pitched basses and achieve that unique quality that will turn the club in to raving craziness with everyone clamoring to hit the dance floor. Pitched basses give you the chance to create music compositions that has never been aired on any club floor. The basses in this sample pack have been developed with the top quality synthesizers available today. The four basses in the samples are lomids, los, ups and FXs. At VIPZONE SAMPLES we are only concerned with providing you the very best and top class products. If you are more than happy with the 60 sound folders which give you unlimited opportunities to create thumping and heart rendering bass lines there is more in this samples pack to make your head spin in anticipation. In addition to 60 pitched basses all organized in SF2 multi samples format with additional wav files for each of these SF2 multi samples there are 600 fresh drum sounds included for your total enjoyment. Club lovers can make the most of this unique collection and power up their bass sounds. On VIPZONE SAMPLES you can find quality products of this caliber. Speed dial into VIPZONE right away and get cracking with this all powerful pitched basses samples pack to make your trance, dance and club tracks memorable and give them all a high flying totally unique experience.